DAC060EUB5GDB	This product is no longer available. 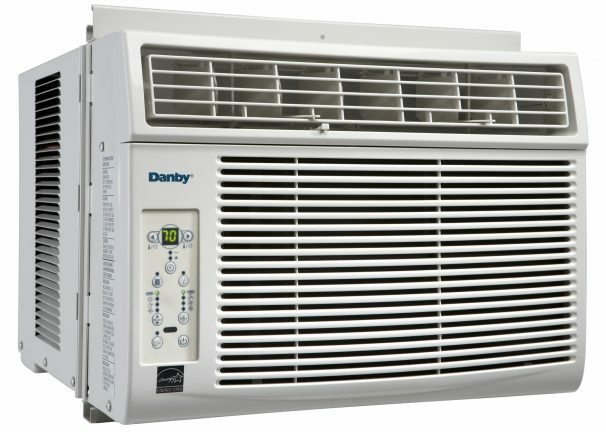 There’s no need to be uncomfortable once the summer heat arrives with this well-designed window air conditioning unit. This tasteful model pumps out 6,000 BTUs of power and can quickly cool down an area of up to 250 square feet in size. It comes with an 12.1 Energy Efficiency Rating (EER) and is Energy Star compliant to keep your electricity bills as low as possible. You’ll be glad to know the appliance is environmentally friendly as the R410A refrigerant is designed not to damage the ozone layer. Programming the four-way air direction couldn’t be simpler as it comes with easy-to-use electronic controls and a handy remote control. The settings can be monitored at all times via the bright LED display feature and the variable electronic-temperature control allows the appliance to be set between 62°F and 86°F (17°C and 30°C). The smart energy-saver switch can turn the fan on and off after the compressor shuts down and the automatic on/off system enables you to schedule the unit to suit your personal schedule. There’s also a convenient sleep mode to guarantee your room from becoming too cold during the night. The air conditioner also comes with a 12-month warranty on parts and labor.